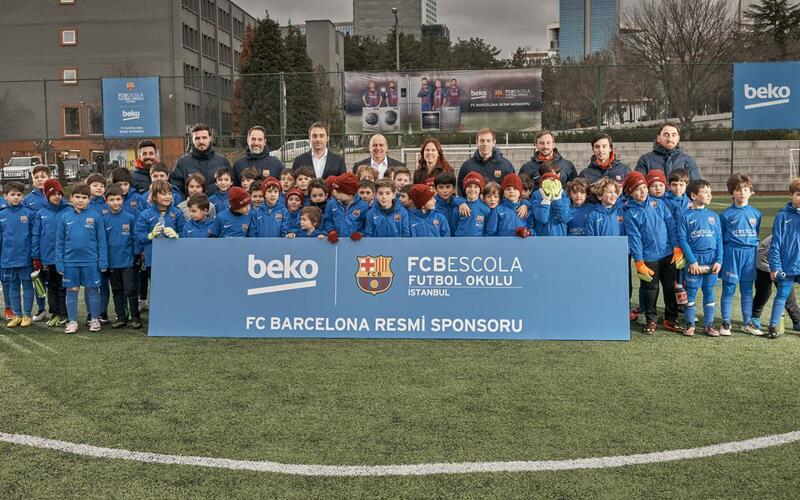 FCBEscola Istanbul has signed a sponsorship agreement with Beko by which the Turkish brand has become its Title Sponsor. This company, which has undergone major growth in recent years, will thereby lend it name to what becomes FCBEscola Istanbul Beko, thus further increasing the connection between Beko and FC Barcelona, whose partnership began in 2014. The agreement was finalised in attendance of the director of the FCBEscola project, Franc Carbó. The Istanbul soccer school currently has more than 700 boys and girls aged 6 to 14 on two sites located at the Campus Ayzaga at Istanbul Technical University and at the Marmara education complex at Maltepe University. The 2016/17 season is the third of an FCBEscola that has catered for 1,500 athletes to date. FCBEscola is the model for FC Barcelona soccer schools for boys and girls whose main goal is the integral education of its pupils. This model has been exported on an international scale and seeks to expand the Barça name and transmit the club’s work philosophy and values to the rest of the world. FC Barcelona has a total of 24 FCBEscolas around the world, more than 160 soccer camps and 50 soccer clinics a year, and exists in more than 50 countries on five continents, with the participation of over 35,000 children in the different activities promoted by FCBEscola. “Beko’s support as a sponsor is very important for our club, but even more so thanks to this new agreement that has made it the main sponsor of FCBEscola Istanbul Beko. Our target at each FCBEscola is to develop great players that can incorporate the FC Barcelona values, and we are very proud to have done that for three years in Turkey and we hope to continue doing so with many more boys and girls in the coming years”. “Beko has been involved sport in uninterrupted fashion since 2006. We want to support the development of youth sport in Turkey. In this regard, the young athletes that have attended our school have come a step closer to realising their dreams thanks to Beko”.